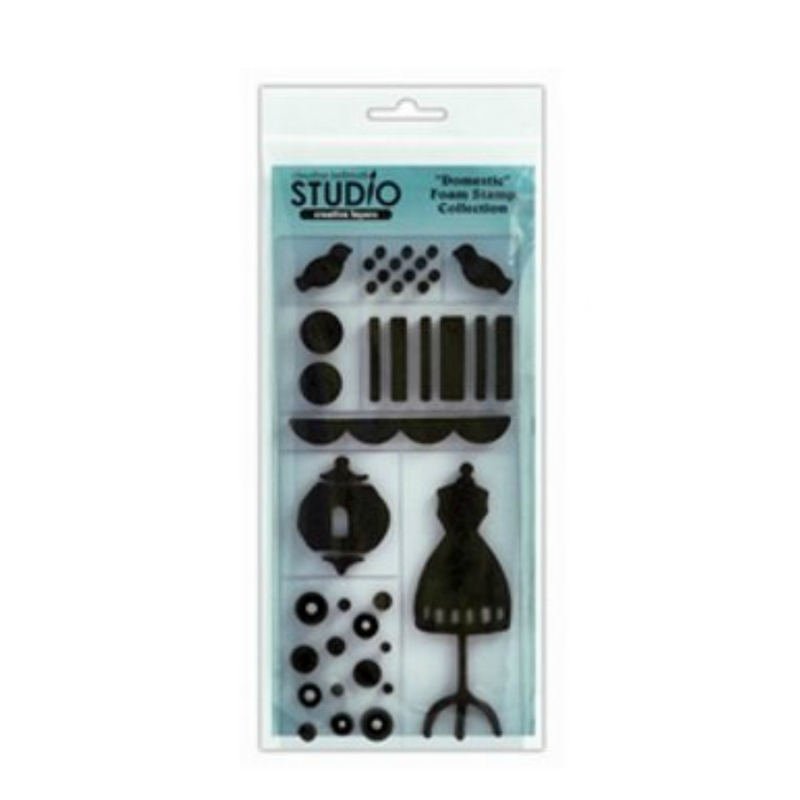 This Claudine Hellmuth Foam Stamp Set contains images of a dressmakers dummy, a birdcage and other whimsical images. Claudine has hand-drawn these images based on the illustrative artwork she creates in her delightful unique collages. The co-ordinating cling version (available separately) allows for the ultimate in versatility by layering both for stamping projects.